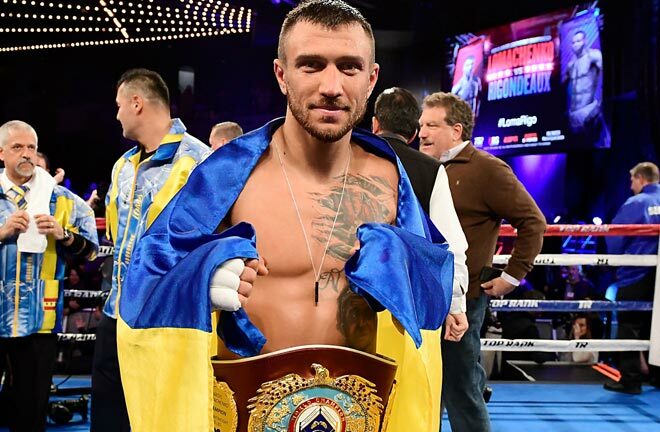 Lomachenko makes his long-awaited return to action this weekend. Lomachenko vs. Pedraza – Big Fight Preview and Prediction. Consensus No. 1 pound-for-pound boxer in the world Vasyl “Hi-Tech” Lomachenko makes his long-awaited return to action on December 8 at Madison Square Garden against Jose “Sniper” Pedraza. Lomachenko (11-1, 9 KOs) will look to further enhance his burgeoning legacy by unifying the WBA and WBO lightweight titles against Pedraza (25-1, 12 KOs), who is the current WBO champion. The fight against Pedraza will be Lomachenko’s first since undergoing successful surgery to repair a torn labrum suffered during his victory over Jorge Linares in May. 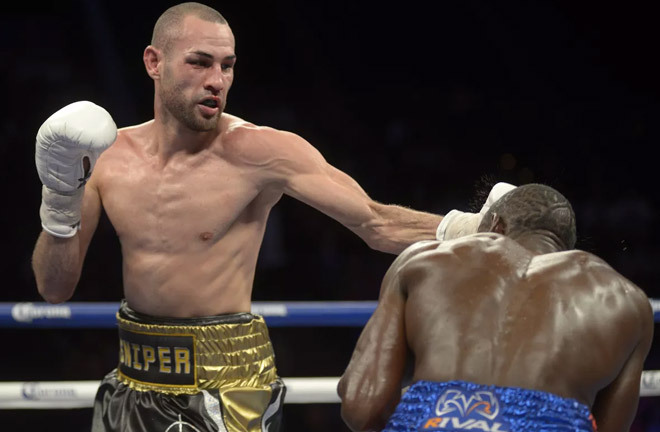 Pedraza, of Puerto Rico, has won his last three fights in a row since signing with Top Rank to include a tune-up against Jose Luis Rodriguez in March; a sterner test against Antonio Moran in June and a decision over tough Ray Beltran to earn the WBO strap in August. Lomachenko is a 30-year old two-time Olympic gold medalist from Ukraine. The southpaw is often described as a highly intelligent fighter with flawless footwork and mesmerizing hand speed. After a decorated amateur career, Hi-Tech has gone onward to compile an 11-1 record with his only loss coming in a controversial split decision loss to Orlando Salido in just his second professional bout. No fighter since then has come close to beating the phenom and he’s won his last eight fights by knockout, forcing three of those opponents to quit on their stools. Pedraza will be making the first defense of the WBO lightweight title he won from Beltran. 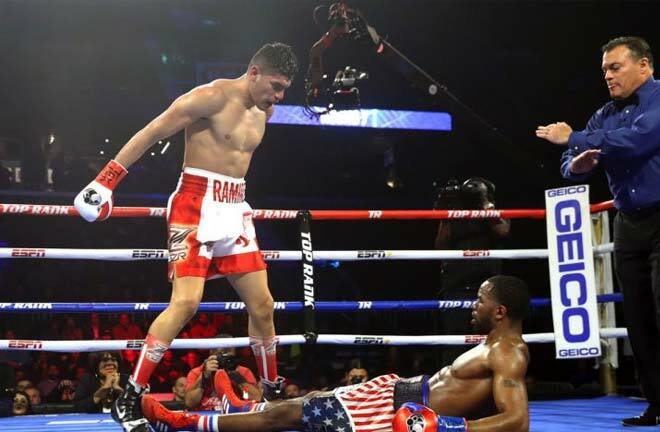 He suffered his first and only career defeat at the hands of junior lightweight champion and rising star Gervonta Davis via seventh round knockout in January 2017. He did not fight again for 14 months becoming a promotional free agent and eventually signing with Top Rank during that period. Jose is a terrific boxer, who seamlessly switches stances to confuse opponents but he lacks true knockout power. It is no surprise to see Lomachenko as the heavy favourite over the 29-year old Pedraza. 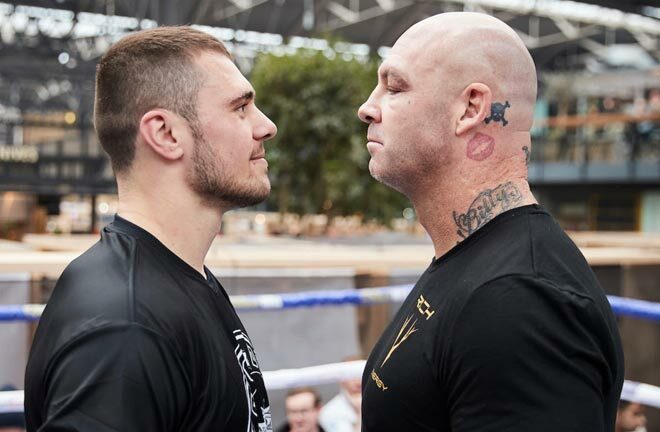 In fact, Loma was favored over his last six opponents so it has become a bit of an expectation. In some corners, Loma is a -5000 favourite, meaning you would need to bet $5,000 to win $100. In this same scenario, odds makers have Pedraza as a +1897 underdog, meaning if you bet $100, you would net $1,897. Of course Pedraza is no soft touch and has displayed amazing boxing skills throughout his career with quality wins over Stephen Smith, Michael Farenas, Antonio Moran, Sergio Reyes and newly-crowned IBF super featherweight titlist Tevin Farmer. In fact, Pedraza easily handled Farmer six years ago, stopping him in eight rounds. His lone loss came against the aforementioned Davis, in part, because he unwisely decided to trade with the explosive puncher. It was a disastrous performance for the more experienced Pedraza and a valuable lesson indeed. Lomachenko is not as big, fast or as powerful as Gervonta so that is the good news for Pedraza going into this fight. However, Vasyl is just as talented with a style that is not easy to prepare for. Pedraza believes otherwise that he has the fighting style to defeat the former three-division world champion. Lomachenko’s promotor Bob Arum of Top Rank acknowledged to ESPN that Pedraza could pose some stylistic problems but stopped short of making a prediction on the fight’s outcome. No doubt that Pedraza has studied tape of Lomachenko’s fight last May against Jorge Linares. Lomachenko did not win in his usual dominating fashion and it took him a few rounds to adjust to his opponent’s size and skill level. Pedraza is at least on par with Linares in the talent department but prefers to fight from long range behind a solid jab and will have a substantial 5-inch reach advantage on fight night. 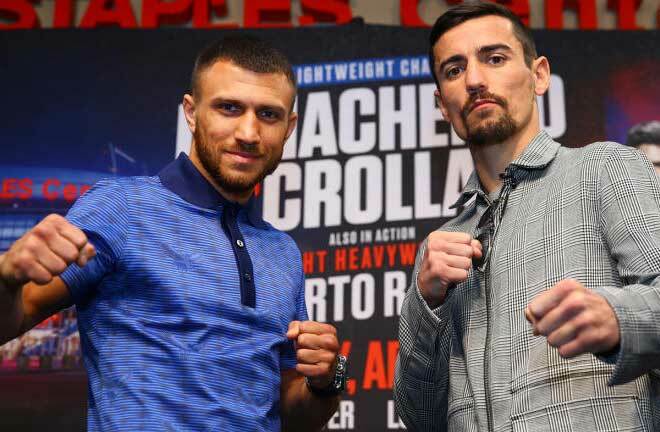 It figures to be a tough night for Lomachenko, who faces yet another technical fighter that will not simply be a stationary target in front of him. Expect the skilled Puerto Rican to give Vasyl fits with his size, constant movement, angles and accurate jab. Pedraza should find success for stretches in this fight but he will not get the win by simply trying to outbox Loma. He will need to earn the Ukrainian’s respect by mixing in power shots too but that is not in his arsenal. Lomachenko will eventually figure him out and take command of the bout down the stretch. In the co-feature bout, WBO super bantamweight champion Isaac Dogboe defends his title against Emanuel Navarrete. 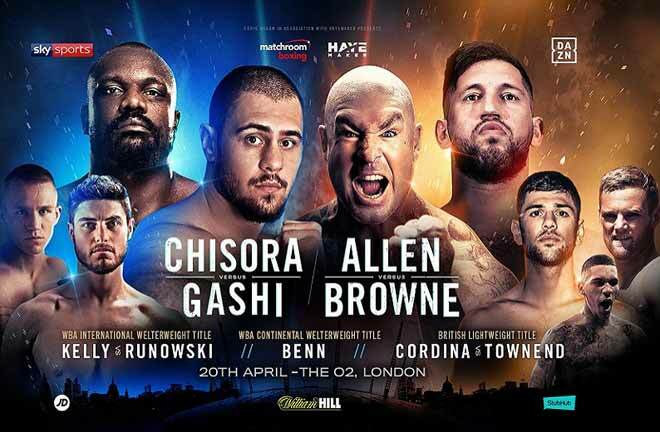 Also on the card, Teofimo Lopez Jr. takes on Mason Menard, and Alexander Besputin battles Carlos Abreu. 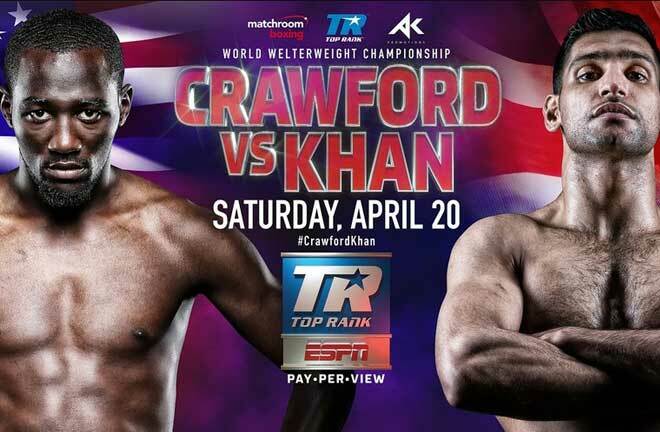 The Lomachenko vs. Pedraza main card will air on ESPN beginning at 9 p.m.